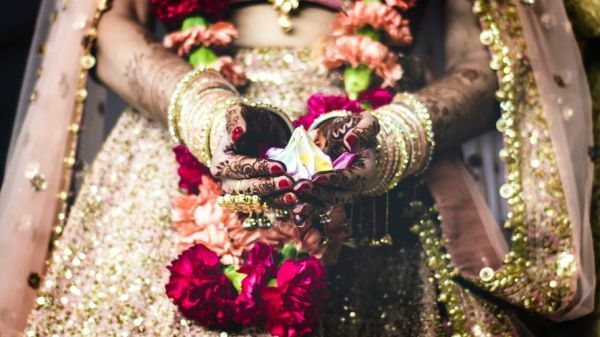 When it comes to rituals and practices in Hindu weddings, the concept of kanyadaan has been hotly debated for years and still continues to be so. According to tradition, the groom is considered a form of Lord Vishnu, and presenting him gifts is deemed as the greatest honour for the parents of the bride. Which is why, they offer their daughter - who is their most cherished gift - to the groom. But, over the years, people have begun to criticise the ritual of kanyadaan as being patriarchal in nature - inherently becuse it is a practise in which the parents renounce the custody of their daughter, as if she were a commodity. 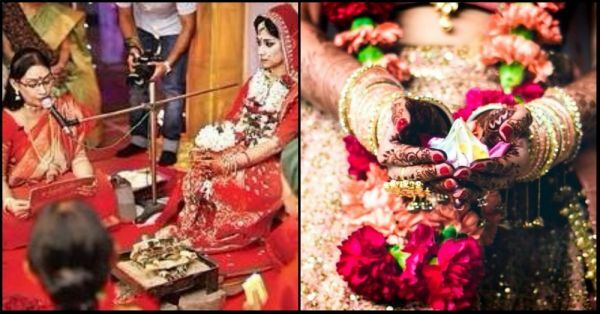 While a lot of weddings these days are being conducted minus the kanyadaan making an appearance in the list of rituals followed by the bride and groom, one particular Hindu priestess, Nandini Bhowmik is taking it a step further in the right direction. How, you may ask. Apart from being a Sanskrit professor at the Jadavpur University and a drama artist, Nandini is also West Bengal's first priestess to have solemnised as many as 40 marriages over the last 10 years, without performing the kanyadaan! In an interview with a leading publication, Nandini said, "I do not perform kanyadaan as I consider the practice to be regressive because the women are treated as commodities." "I try to keep the rituals short and simple, while completing the entire ceremony within an hour," she added. Nandini further translates the Sanskrit hymns into English and Bengali for the bride and the groom to chant while her troupe sings the Rabindra Sangeet in the background. Though busy in her schedule of teaching and being involved in over 10 drama groups at a time, she takes out time to marry mostly inter-religious, inter-caste and inter-ethnic couples across Kolkata and its suburbs. Having solemnised her own daughter’s marriage, Nandini wants to clarify that she is not opposing or challenging any of the traditional priests who do indeed follow the ritual of kanyadaan. “I respect the traditional priests and I am not in confrontation with them," she said. "Though my husband sometimes feels threatened due to the growth of aggressive Hindutva, I have not yet received any personal threats." Nandini draws her inspiration from her teacher, Gouri Dharmapal, and donates most of her earnings to an orphanage in Balighai near Puri, in Odisha. 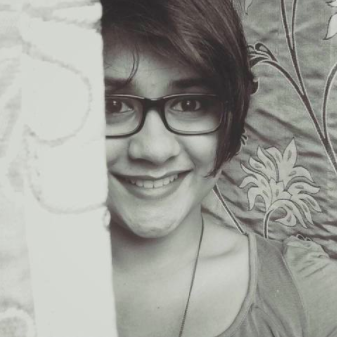 Nandini is a first in what we hope to be a line of priestesses who will soon follow suit. A wedding ceremony is a beautiful thing to witness. But, its beauty is only as beholding as its rituals and prayers are uplifting to both the individuals involved in the ceremony - the man and the woman. We hope that this is seen as an inspiring and refreshing change. Here's to all the changemakers working towards gender equality! Here's to all the Nandini Bhowmiks of the country!